Allister McGrath, a native of Belfast, Ireland, and currently a professor of theology and apologetics at Kings College, London, announces that his biography of C. S. Lewis is to be published this year. In this video, McGrath speaks about the biography from the study of C. S. Lewis at the Kilns. Several years ago I had the opportunity to visit Lewis sites in and around Oxford, England. 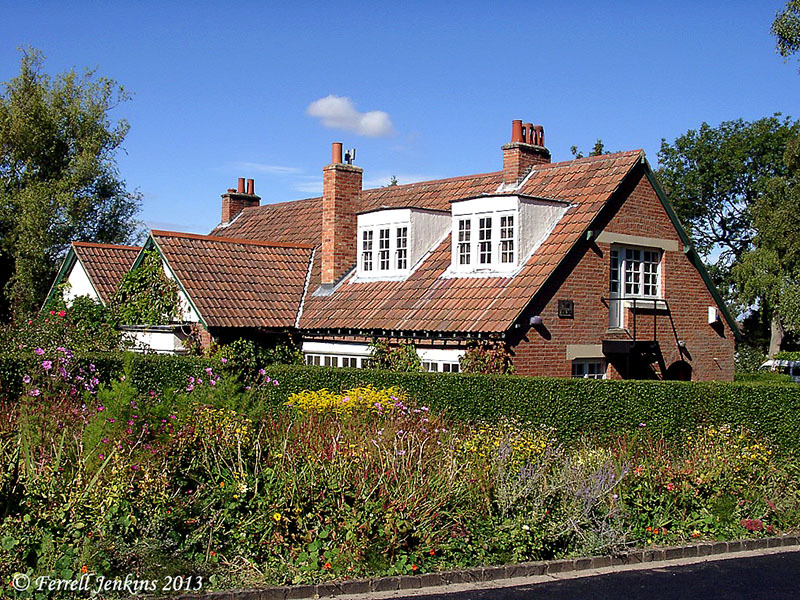 The photo below shows the Kilns, former home of C. S. Lewis and his older brother Warnie. The house was not open for visitors at that time, but I understand it is now open at certain times. The Kilns, former home of C. S. Lewis. Photo by Ferrell Jenkins. If you have an interest in Lewis and his writing, you will probably enjoy looking at some of the other photos I made. Click here. During World War II when Great Britain was dealing with the threat of extinction, C. S. Lewis wrote The Screwtape Letters. These letters of unknown provenance are from the senior devil Screwtape to a junior tempter named Wormwood. Saturday afternoon I saw actor Max McLean in a Broadway-type production, C. S. Lewis The Screwtape Letters. The production begins with Screwtape giving the graduation address at the Tempters’ Training College for Young Devils. After that, everything else takes place in Screwtape’s Office in Hell. Screwtape writes a series of letters to his nephew Wormwood to help him in working with one of his “patients” – a young Christian man on earth. Wormwood is supposed to keep the patient distracted from serving the Enemy (God), and to deliver him to “our Father below” (the Devil). In addition to McLean’s superb acting, Toadpipe is a delightful addition to the stage production. She is Screwtape’s secretary in his office in Hell. 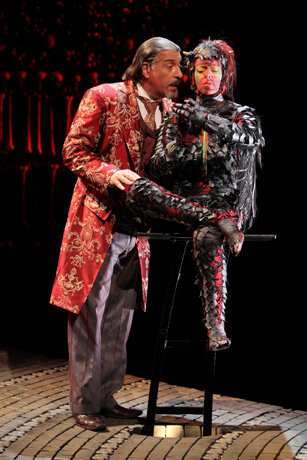 Max McLean as Screwtape and his secretary Toadpipe in The Screwtape Letters. If you have never read The Screwtape Letters, you should do so. The book is available from Amazon in both print and Ebook. This little except from Letter XII shows us how easily it is for the Devil to distract one from genuine service to the Enemy (God). You will say that these are very small sins; and doubtless, like all young tempters, you are anxious to be able to report spectacular wickedness. But do remember, the only thing that matters is the extent to which you separate the man from the Enemy. It does not matter how small the sins are provided that their cumulative effect is to edge the man away from the Light and out into the Nothing. Murder is no better than cards if cards can do the trick. Indeed the safest road to Hell is the gradual one—the gentle slope, soft underfoot, without sudden turnings, without milestones, without signposts. 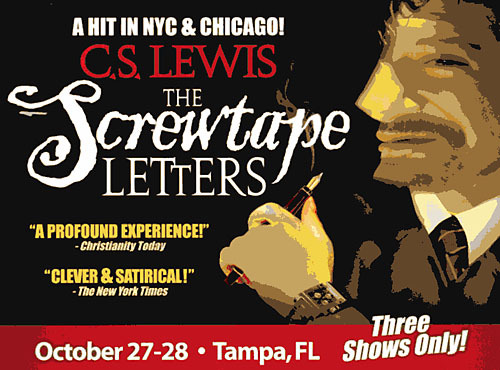 C. S. Lewis The Screwtape Letters is scheduled for several other cities. Take a look at the ScrewtapeOnStage.com for details. If you are interested in C. S. Lewis, take a look at this photo essay about Lewis here. Two references from Paul’s second letter to the church at Corinth are appropriate here. St Cuthbert Gospel. Copyright British Library Image. British Library launches a campaign to raise $14.3 million for a 1300 year old copy of the Gospel of John. 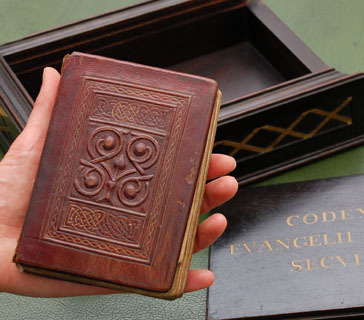 St. Cuthbert’s Gospel is said to be Europe’s oldest book. The Latin book is also called the Stonyhurst Gospel. Information about the small bound book may be read here. The British Library has a nice video about the book, including clear images, may be viewed here. (HT: Paleojudaica). Latin works such as this one play an important role in the history of the English Bible. Wood used in the Roman siege of Masada came from other areas, according to a study by scientists at the University of Haifa. First, the researchers examined the amount of wood that exists today in the Judean Desert and in the wadi deltas in the vicinity of Masada, and thereby were able to estimate the amount and types of wood that the desert could supply. Next, they calculated the amount of timber and firewood that would have been needed for the inhabitants of Masada, from 150 BCE, when it was a small fortress, through the Herodian period, when the fortress as we know it was constructed, and up to the siege, which ended in 73 CE. According to the researchers, in those times, timber was mostly used for construction, heating and cooking. Based on accepted evaluations of wood consumption for these purposes in traditional societies, on the conservatively estimated number of Masada inhabitants in each time period, the harsh climatic conditions in the desert and Masada’s topography, the researchers were able to conclude that by the time the Romans arrived at Masada and began their siege (73 CE), the entire area was void of timber and firewood, due to 2,220 years of massive exploitation of the immediate environment up to that point. The Romans would have had no choice but to import wood from other areas for their weapon machinery, ramparts and basic living requirements. C. S. Lewis and the Devil. John A. Murray has a fascinating article on “C. S. Lewis and the Devil” in The Wall Street Journal. Read the complete article here. Here is a small excerpt. Dr. David McClister, Bible professor at Florida College, visited Oxford during his summer break. He shares one of his photos of Lewis’s study at the Kilns. 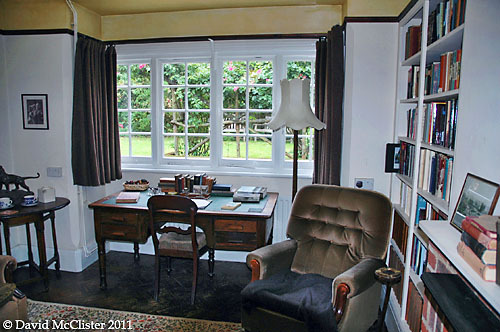 C. S. Lewis Study at the Kilns. Photo by David McClister. No wonder Lewis accomplished so much. No phone. No computer. If you are a fan of any of Lewis’s work, you might enjoy our earlier photos and info here. If you are interested in C. S. Lewis and his writings, you might enjoy a recent one hour documentary about him. The trailer may be seen here. The complete video is available here. A DVD is available for purchase. The photo below is of Holy Trinity Church, Headington Quarry, Oxford. This is the church Lewis and his brother Warnie attended. Both are buried in the church graveyard. Holy Trinity Church, Headington Quarry. Photo by Ferrell Jenkins. 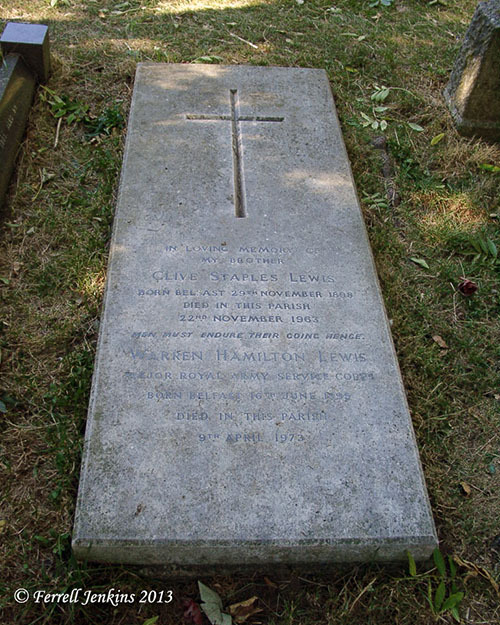 More information, including photos, about sites associated with Lewis is available here. HT: N.T. Resources Blog and Between Two World. Time announced Vladimir Putin as Person of the Year today. 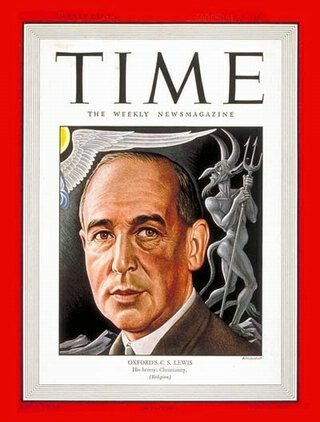 Many do not know that C. S. Lewis was featured on the cover of Time, September 8, 1947. The article about him was titled, “His heresy: Christianity.” If you have enjoyed the Narnia books and movie, or if you have read his apologetic books, I think you would enjoy our pictorial essay on sites associated with Lewis at Oxford, England. Click here. You may view the first trailer for The Chronicles of Narnia: Prince Caspian here.